Where would we be today without the humble air conditioner? Well, we’d surely be very uncomfortable, especially when the temperature rises throughout those humid summer months. It’s easy to take these progressive devices for granted, but millions of us around the globe rely on their innovative technology to keep themselves cool in the summertime. Activated by the flip of a switch, homeowners can enjoy fresh, cool air, emitted by complex electromechanical processes. The end product is the result of almost a century of engineering development across numerous different disciplines; thermodynamics, controls, energy efficiency and refrigeration are all married together to create a product that’s as innovative as it is effective. Air conditioning has its roots in second century China. Pioneering inventor, Ding Huane designed and built a manually-powered rotary fan. Fast forward to 1758, the great American inventor and statesman, Benjamin Franklin began to conduct experiments evaporating alcohol to attain the freezing temperatures. This was the beginning of cooling environments to comfortable temperatures. 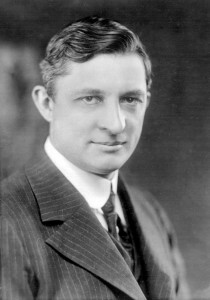 What we have come to identify as the first truly modern air conditioner was conceived by Willis Haviland Carrier, a skilled engineer who began experimenting with humidity laws to make the environment at a printing plant in Brooklyn, New York more accessible. Using some concepts of mechanical refrigeration established years earlier, Carrier devised a system that sent air through coils that were filled with cold water, cooling the air and removing moisture to control the humidity of the room. 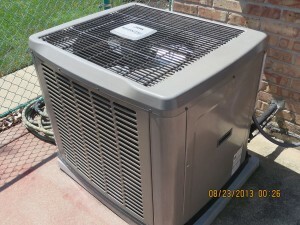 Today, air conditioners use the same fundamental principals as Carriers’ 1993 model. Incorporating technological innovation in vapour compression, controls, diagnostics, electronic sensors, materials and energy efficiency, air conditioner have become increasingly sophisticated to meet the growing demands of consumers. As air conditioners have evolved, they have had to meet growing regulatory demands. Manufacturers successfully lobbied to increase the SEER (seasonal energy efficiency ratio) to 16 or 18, exceeding the DOE’s efficiency standards. Some higher end products have further enhanced SEER ratios to 21, enabling the environment whilst treating customers to significant cost savings. Today’s contemporary marketplace have further enhanced the capabilities of air conditioners by integrating sophisticated microprocessor-based diagnostics and control kits that automate the operation of a compressor and air-flow system. 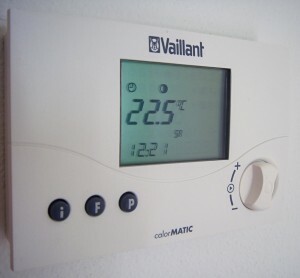 This allows the homeowner to adjust the functions and settings from an off-site computer and some enabled mobile phones. The next stage of technological development will allow smart technologies to adjust to the changing weather conditions through an interface with the National Grid, in addition to becoming all the more energy efficient. It’s true to say that the humble air conditioner has come a long way throughout its lifespan. No longer considered to be a luxury, air conditioners have become one of the most essential aspects of any home.